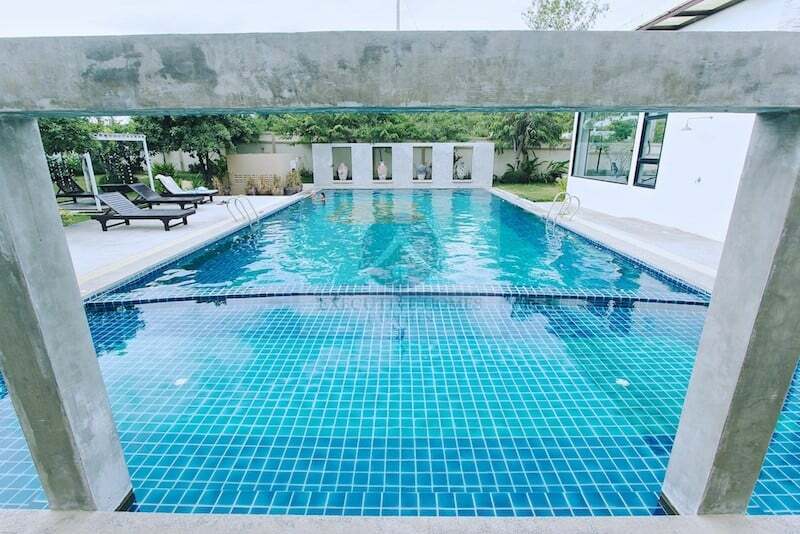 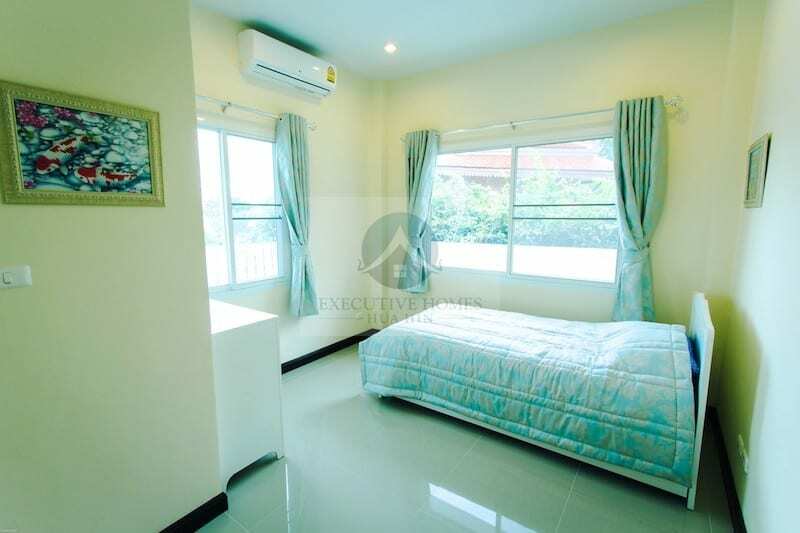 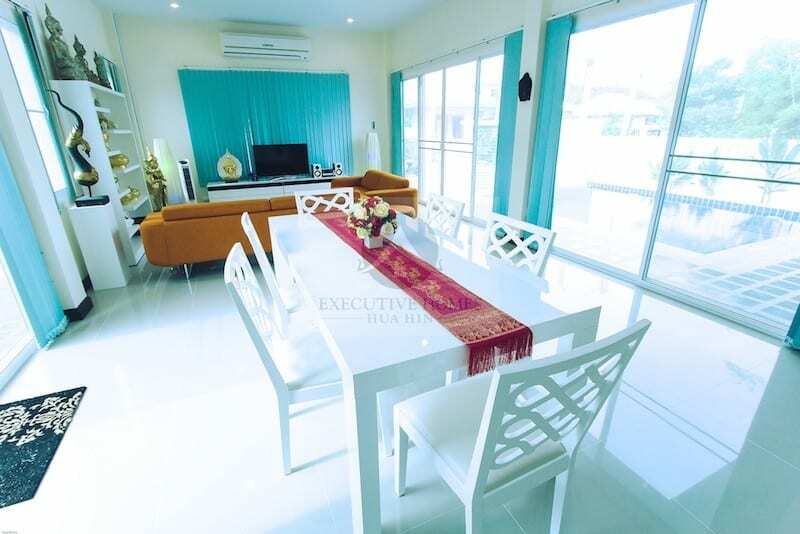 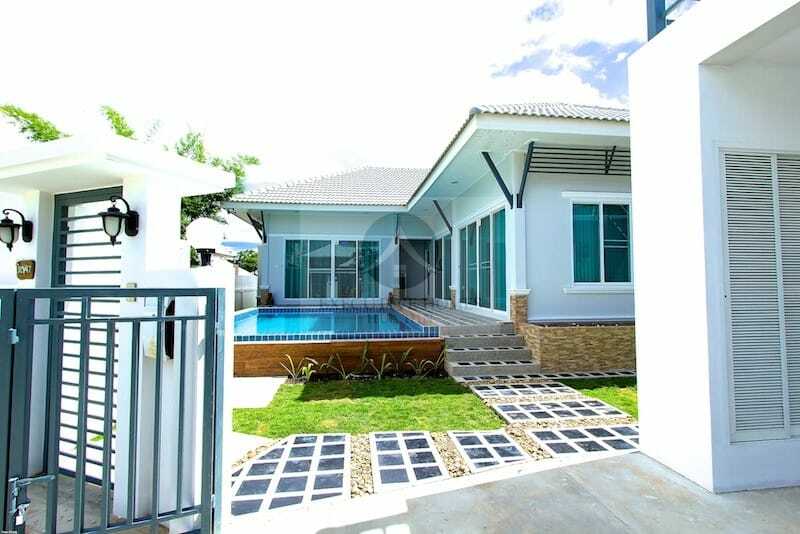 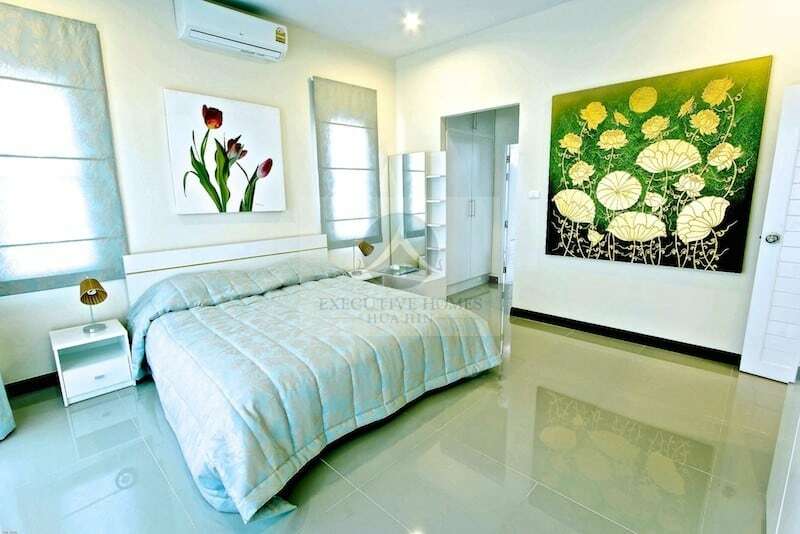 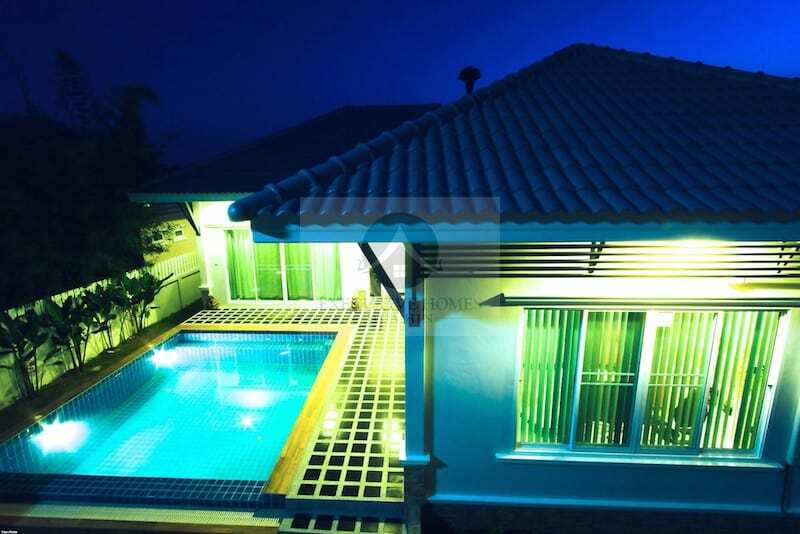 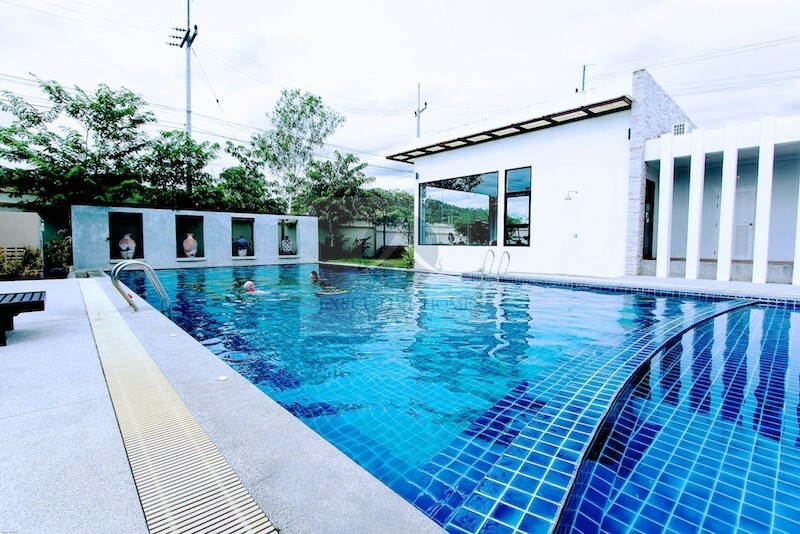 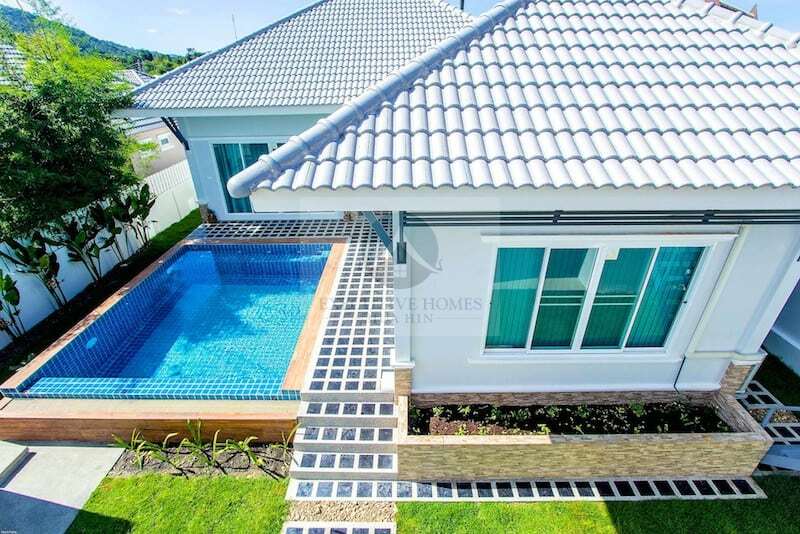 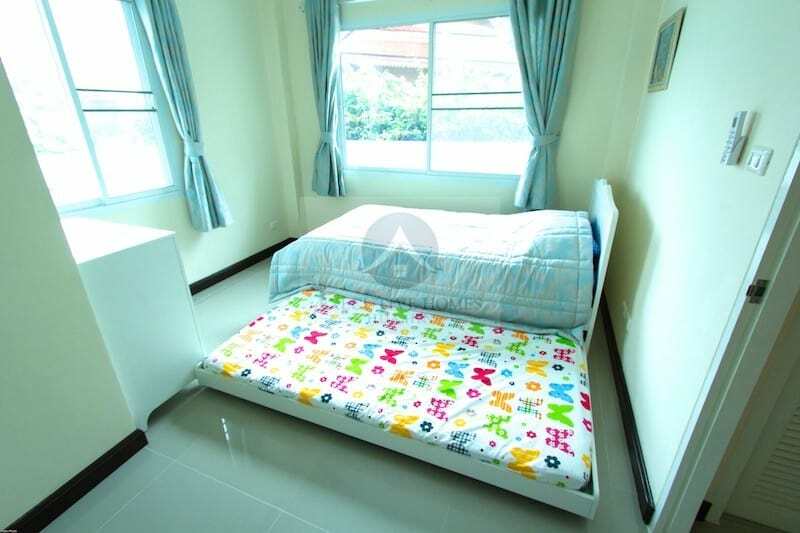 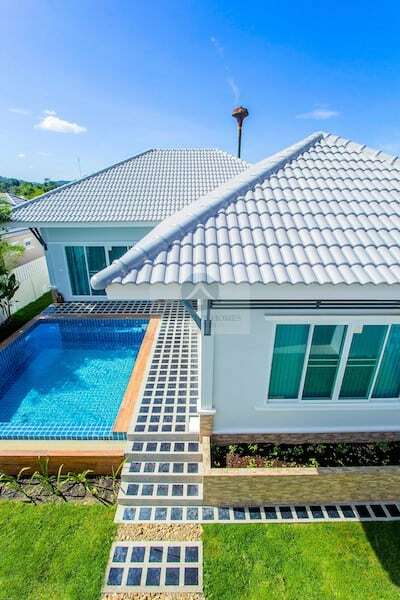 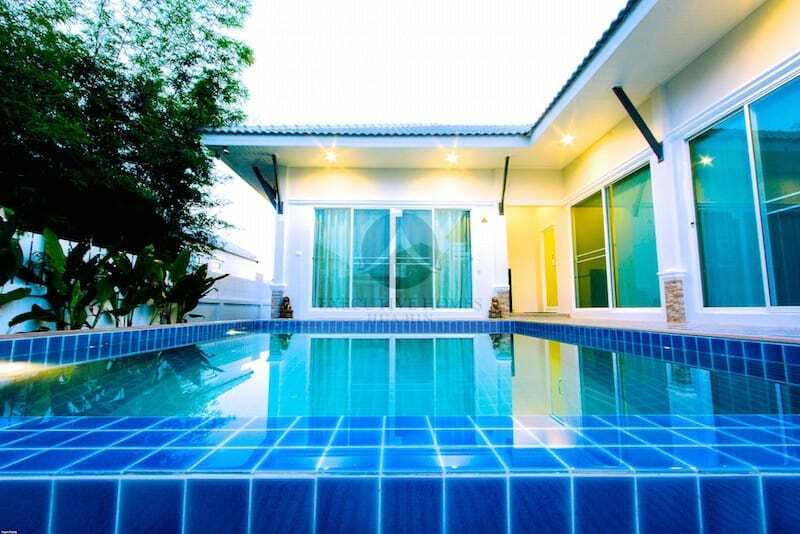 Well furnished 3 bedroom, 3 bathroom private pool villa for rent in popular development near Hua Hin town centre with easy access to the bypass and to Black Mountain golf course. 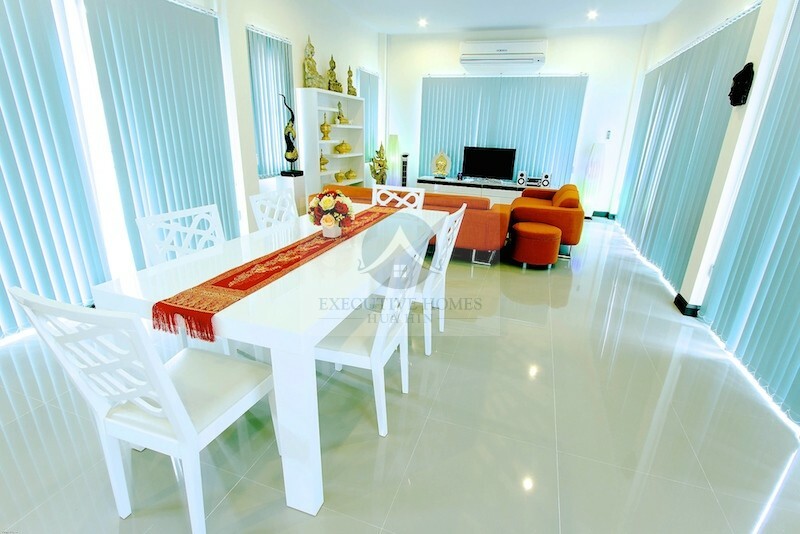 There is a large, open plan living, dining and kitchen area. 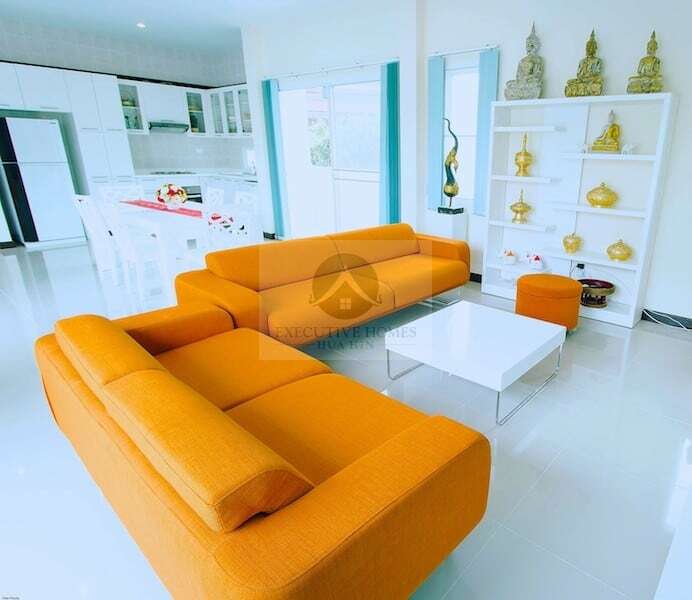 The house is full of light and thanks to the good design and high ceilings, it feels very open and spacious. 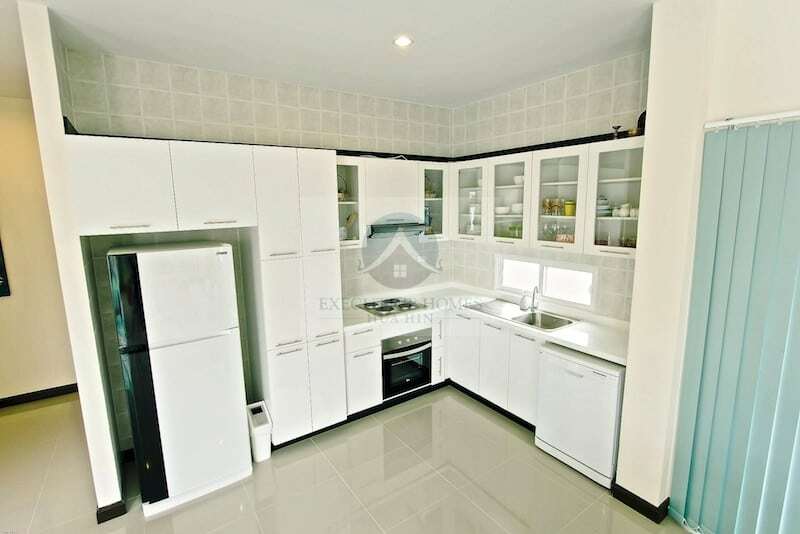 The kitchen is Western standard with all necessary appliances, including a dishwasher, stove, oven, and is fully stocked with cooking utensils; there is also plenty of storage and nice cabinets. 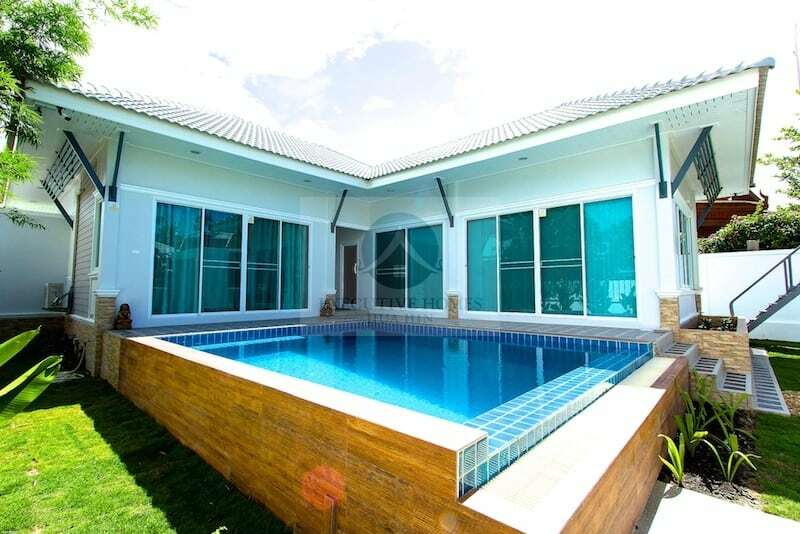 From the living room and the master bedroom is direct access to the terrace and the pool via large, sliding glass doors. 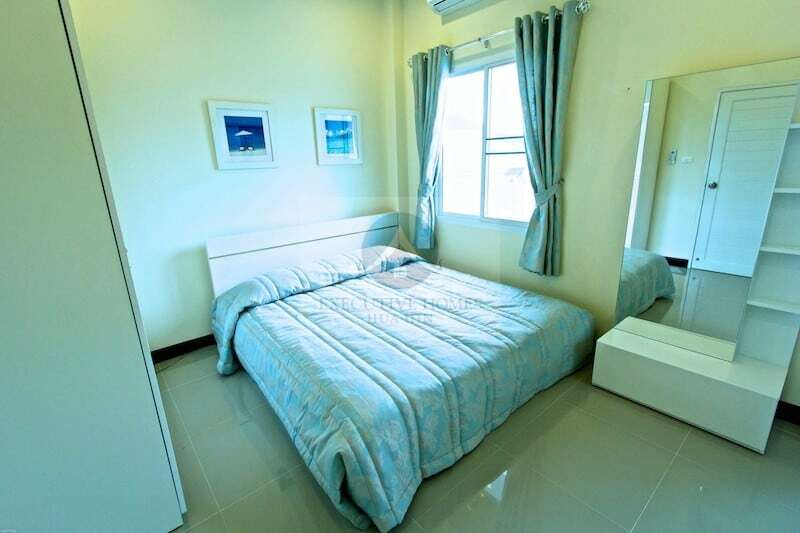 The master bedroom has a walk in closet and en suite bathroom with indoor and outdoor shower. 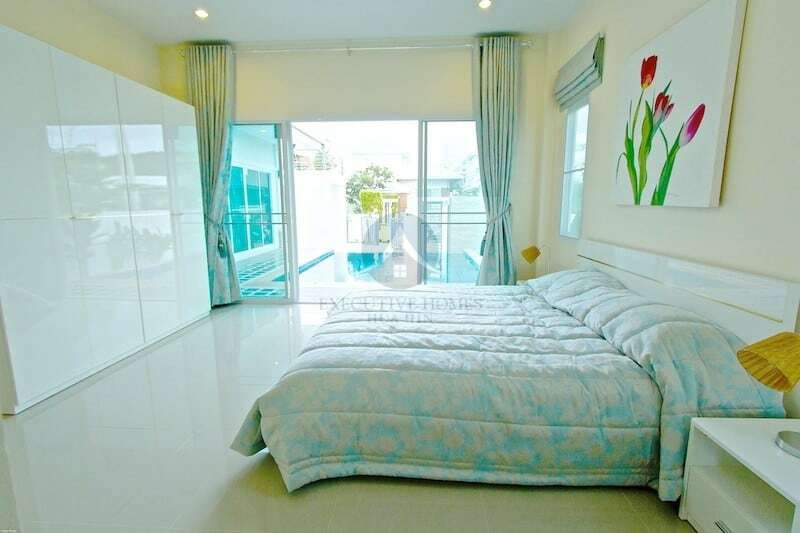 The 2nd and 3rd bedrooms share an en suite bathroom and separate shower with glass door. 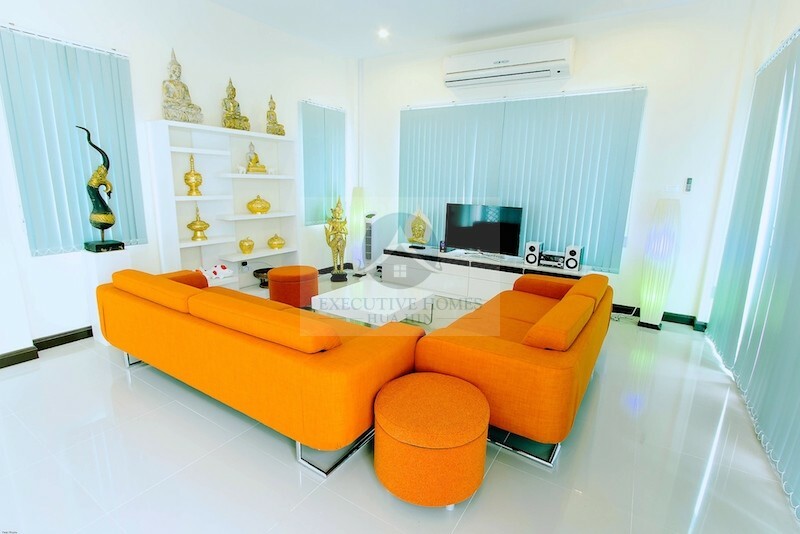 The home is decorated in a mix of modern Thai and Scandinavian style. 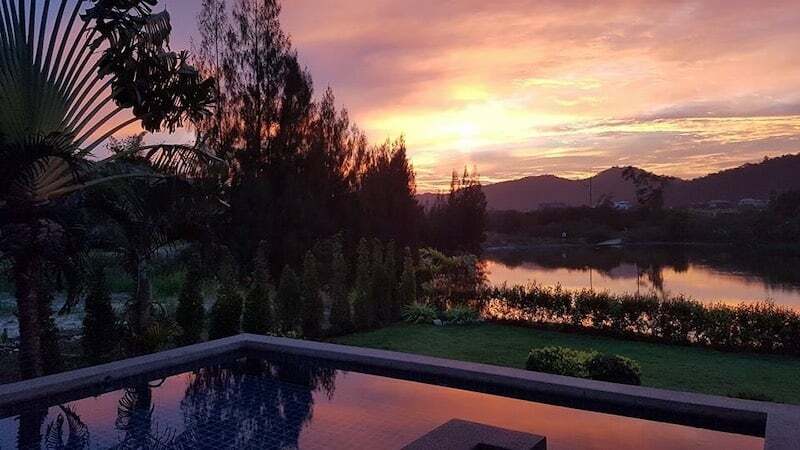 The property enjoys a private, covered carport with a sun deck above and lounge area with excellent views of the surrounding mountains. 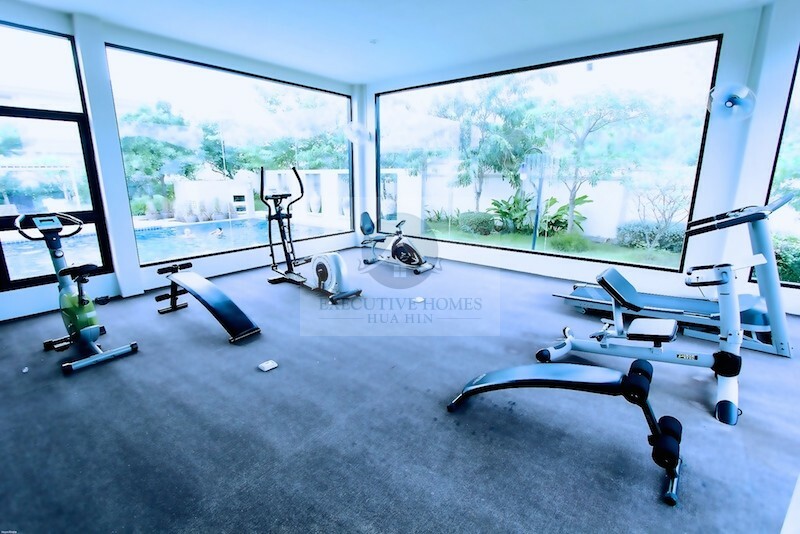 The neighbourhood has many amenities including 24 hour security, a nice fitness room, a large 7 x 20 m community pool with shallow area for children. 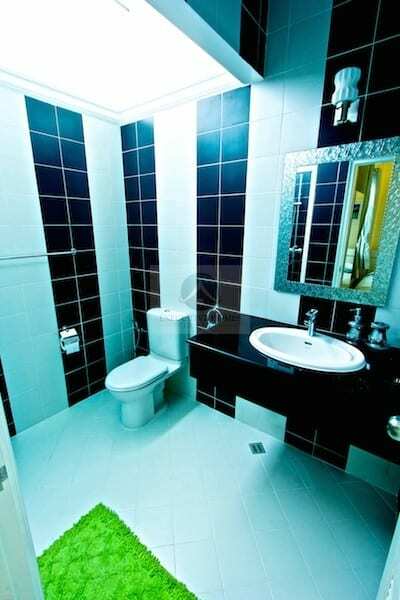 In the clubhouse, there are DVDs available for rent and free WIFI. 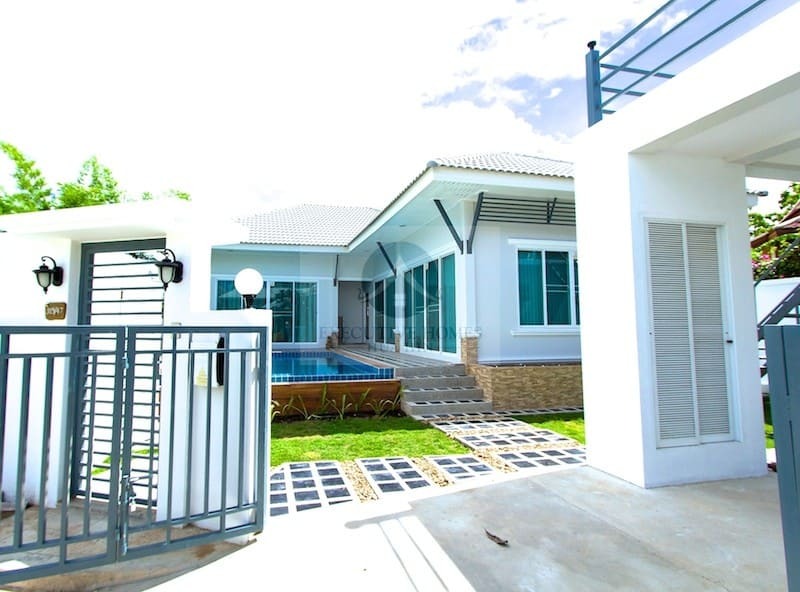 The villa comes with 2 children’s bicycles available for use, as well as one set of men’s golf clubs that can be borrowed.